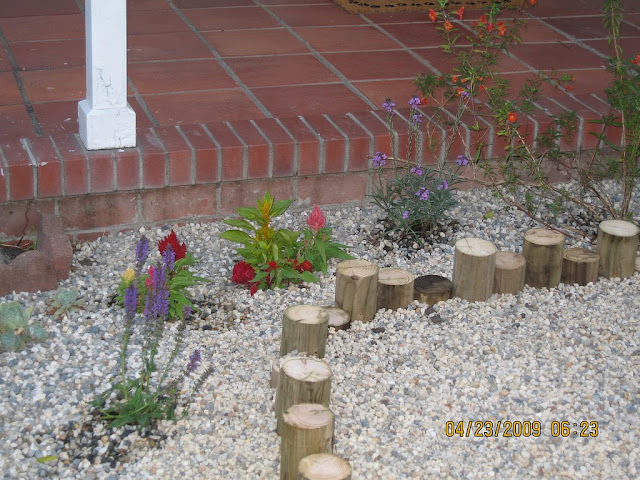 When I redesigned the front garden over a year ago, I carefully selected each plant. 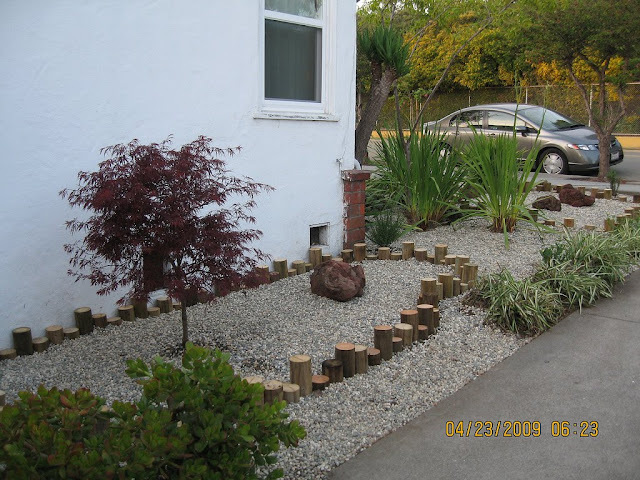 The plants needed to be deer and drought tolerant and preferably native California. I also wanted some flowering plants for hamming birds and bees. I wanted to remove all the juniper bushes badly. They were over grown, hard to trim, full of spiders inside and covered in spider webs. To me, they served no purpose and were an eyesore. This project was bigger than we could handle by ourselves, so I hired some people to remove most of the plants. I wanted a low maintenance front garden, but we didn’t know a whole lot about weed suppression back then. The only thing I knew was weed blocker or landscape fabric. More than a year later, I now know that weeds will find a way to penetrate just about anything including concrete since there are several cracks in the drive way made by weeds. During my research, I found that most herbs are deer tolerant. I planted 2 varieties of rosemary and 2 varieties of lavender in addition to some sage, wallflowers, red monkey flowers, lilac, and a few others. I wish it could stay this way. Unfortunately, it's now filled with weeds again. After the initial transformation was completed, I decided to sign up for horticulture classes. Now over a year later, most of the plants have thrived. I have witnessed many hamming birds, butterflies, and bees visiting the flowerbed. I have learned various weed control methods through my class and that weed blocker doesn’t really work in the long run. It might block weeds for a year if you are lucky.